Craft Beer Cap Collector's Box - BeerRevolt! 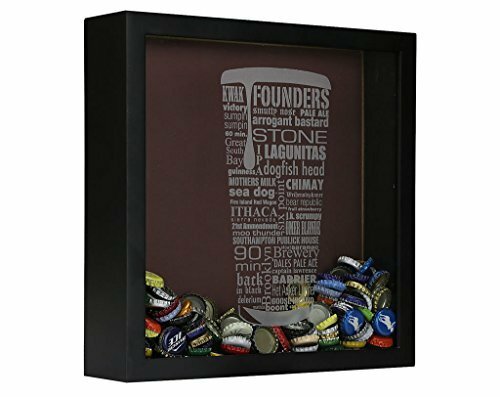 This Craft Beer Typography Beer Cap shadow box will make the perfect addition to your kitchen, bar, man cave, or just about anywhere. We professionally laser engrave the award winning craft beer typography design right onto the shadow box glass. The top of the shadow box slides to allow you to easily place your favorite bottle caps inside. The back of the shadow box has hooks so you can easily attach it to your wall. Beer caps are not included.